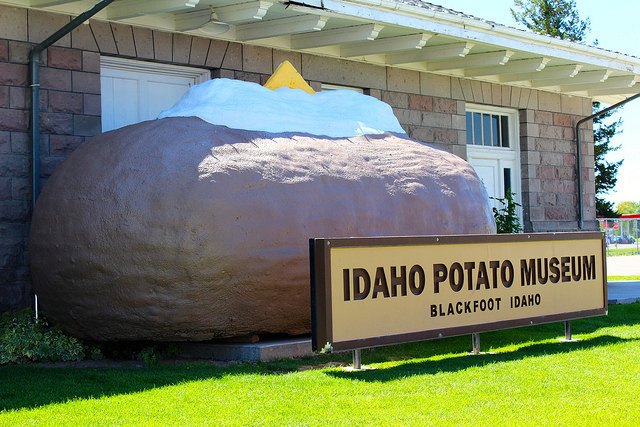 Idaho Potato Museum; Photo by Saya Muncil/Flickr (Use Permitted with Attribution). Idaho's rich volcanic soil, water from melting snow in nearby mountains, clean air, sunny days, and cool nights all combine to produce consistently high-quality potatoes that have made Idaho famous worldwide. Americans love potatoes; the average individual consumes about 140 pounds of potatoes per year in fresh and processed forms. 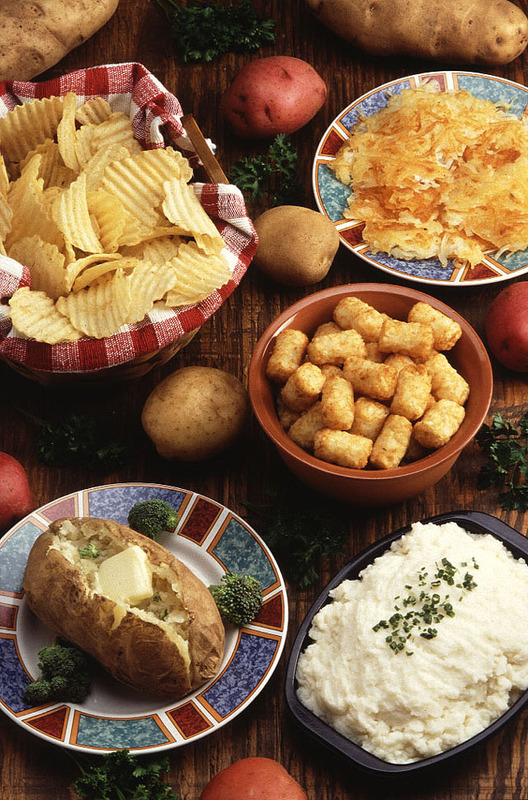 Potatoes are extremely versatile in cooking and are served in many forms including mashed potatoes, baked potatoes, boiled or steamed potatoes, French-fried potatoes, potato chips, scalloped potatoes, fried potatoes, home fries, hash browns, potato pancakes, and potato bread. The potato is a native American plant, originating in what is now southern Peru (about 3,000 varieties persist in the Andes of South America and there are about 5,000 potato varieties world wide). The English word "potato" comes from Spanish "patata" (derived originally from the Nahuatl word "potatl"). The potato is now the world's most widely grown tuber crop, and the fourth largest fresh produce food crop (following rice, wheat, and corn). The potato was introduced to Europe about 80 years after the first voyage of Columbus in 1492. Once established in Europe, potatoes became an important food staple and field crop. Prepared potatoes; Photo by Scott Bauer/USDA (public domain image). Big Spud in the Big Apple; photo by Dave Bledsoe on Flickr (noncommercial use permitted with attribution / share alike); "So, this morning when I heard on New York 1 there was a Big Idaho Potato parked on 14th Street and 10th Avenue, I knew I must make the pilgrimage to see the Super Spud ... 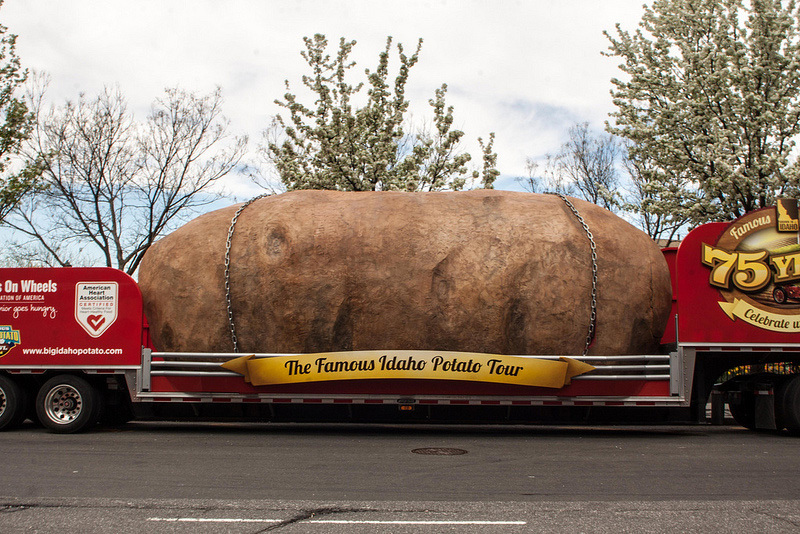 It is a twelve thousand pound replica of a potato mounted on a big rig and driven around the country in the Big Idaho Potato Tour." 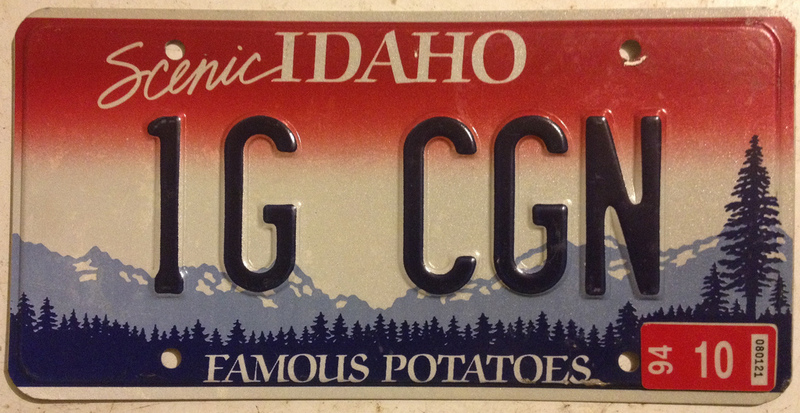 "Famous Potatoes" Idaho License Plate; potatoes are the official state vegetable of Idaho. Photo by Jerry "Woody"/Flickr (use permitted with attribution/share alike).